Dental prosthetics, or prosthodontics, is a specialized area of density that deals with artificially restoring and reconstructing the mouth, missing teeth, missing parts of teeth and intraoral defects by using dental prostheses. It targets both functional and aesthetic restoration. Dental prosthetics vary from dental crowns and bridges to more complex solutions for complete maxillofacial rehabilitation. 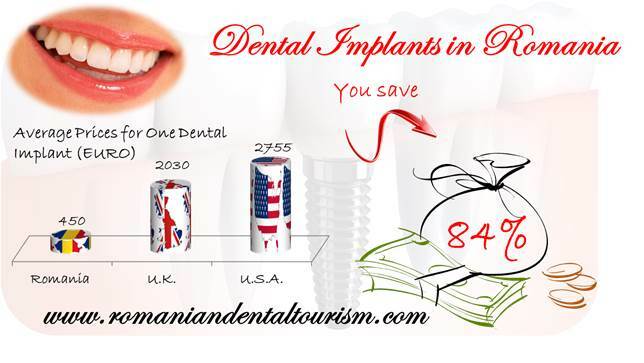 Our dentists in Romania can provide various prosthodontics services, suited for your needs and at affordable prices. Dental prostheses can have many functions and they can be used to replace only one tooth or, according to the needs of the patient, restore the entire dental arcade. They can be used to improve aesthetics and speech, rehabilitate mastication and even reconstruct missing soft or hard structures of the jaw and palate. Dental prostheses can be connected to the surrounding teeth by using dental implants, by suction or they can be held by the surrounding muscles. They can be permanent or removable. Our dentists use the most suitable materials available in order to make sure that the prostheses matches the functional and aesthetic needs of the patient. The most commonly used materials are very resistant light metals and high quality ceramic which replicates the natural shade and aspect of the tooth. 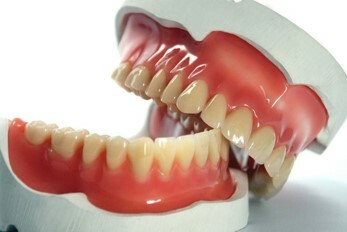 Dentures, or false teeth, are prosthetic devices used to replace missing teeth. They can be partial and removable or they can be complete and fixed. Dental implants are a specialized type of prostheses and combine dental surgery with dental prosthetics. Missing teeth are replaced with dental crowns and may be sustained by a dental implant or by dental bridges. Patients who are interested in cosmetic dentistry can also be candidates for dental prosthetics. Dental veneers are used to cover teeth and improve their aspect and function. 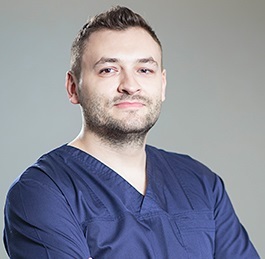 Our dentists in Romania can offer you a complete treatment plan and will decide the best treatment option according to your needs and the desired results. Please contact our team of dentists if you want to schedule your dental travel trip to Romania.